The ACAAN plot - but with a novel twist! The "Any Card At Any Number" plot is one of the holy grails of magic. The concept is fairly straight forward to understand: a spectator names any number, and the card at that number proves to be exactly a card previously named/chosen. It's a somewhat common plot, and some of its best and most convincing versions tend to rely on gimmicks or require the magician to master techniques like a memorized deck. So what about an ACAAN that is well within the scope of the intermediate magician? And with a surprising twist near the end? That is the kind of routine promised by David Jonathan's Wrong Turn, which is available as a digital download from Penguin Magic for $7.95. From a shuffled deck, you cut to any card in the deck. You memorize the card, return it anywhere into the deck, and shuffle it to truly lose the card you selected into the deck. Now it's truly impossible for the magician to find it, let alone at an exact number you choose, right? But that's exactly what happens, in a surprising way. First you select any number from 1 to 52. The magician counts down to that number from the face-up deck. But wait, it's not the chosen card. Or is it? 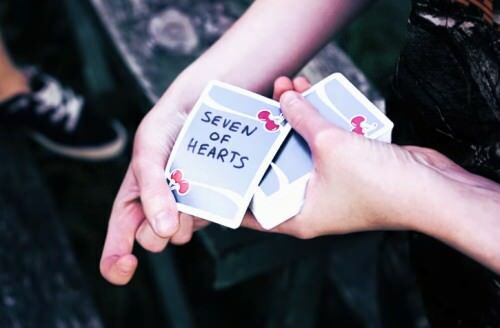 The backs of all the other cards in the deck are revealed to have no writing on them, while the back of the card at your chosen number is revealed to have the name of the card you originall selected on it! What you get for your money is a digital video download plus a couple of PDFs. 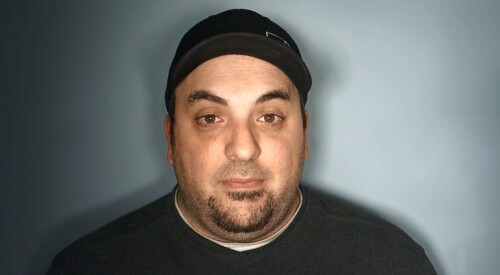 At the highest quality available, the video is a 370MB file with 30 minutes of footage, although the slightly lower resolution 240MB file is also more than adequate. The first three minutes features David Jonathan performing the effect on camera, just as shown in the trailer, while the remaining time is filled with a detailed explanation. The video is high quality, and even has some light background music, while the teaching is easy to follow. David Jonathan covers all the details necessary to learn and perform the routine. While half an hour seems like a long time, the length is not a reflection of the complexity of the trick, which is relatively straight forward to learn. Rather, it's because he covers everything carefully, including several "outs" in the event things don't work out in the ideal way. In addition, there's a PDF with a one page "recap", which gives a handy overview of everything you need to know to do the routine. This serves as a helpful reminder any time you come back to this trick after an absence, or even to review the essentials while you're learning it. Another PDF is also provided which offers an additional bonus idea for the trick, by adding a new element involving a banknote. At the end of his explanation, David also mentions a similar effect by Cameron Francis called PAAN. While this some superficial similarities, is employs a different method, and he did get approval from Cameron before publishing Wrong Turn. 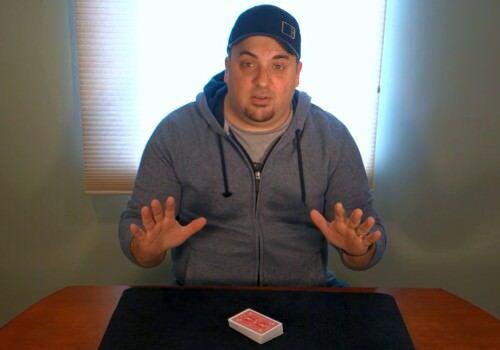 To perform the trick, you will need a simple gaff, although it's something that virtually all magicians will already have on hand. Setting up for the trick with the gaff literally only takes a minute or two the first time, and from then on you can reset very quickly. After watching the video tutorial it should only take you 5-10 minutes to learn the entire routine, it's that straight forward. So in terms of accessibility, this is not a knuckle-buster suitable only for advanced magicians, but is quite easy. The method is very clever, but it won't suit everyone, nor is it entirely foolproof. Although to be fair, David explains some options you can fall back on to make sure that things work out. He also covers the worst case scenario, and because even then there's a way of ensuring the desired outcome. If that's sounds somewhat cryptic, good - obviously I don't want to tip the method in my review. But I can say that it's not entirely true that the spectator can genuinely cut to any card they want, and there is a technique being used here that I personally don't have much experience with, and will need to master in order to feel confident of a good outcome most of the time. Most intermediate magicians will probably already have this technique in their quiver of sleights and moves. If you don't, the good news is that David Jonathan does teach everything that is necessary to do it. Admittedly it's not super difficult, and it does have quite a wide application outside of this trick. The perfect ACAAN is still somewhat elusive, and if you're searching for that holy grail and want it to be simple to perform and flawless in its execution, this trick won't end your quest. But that's no fault of the routine, because any ACAAN routine will always come at some cost. Either it will be something mind blowing but extremely demanding on the performer. Or if it is easier to learn and perform it will have some quirks, gimmicks, or unusual elements that will leave it slightly wanting. 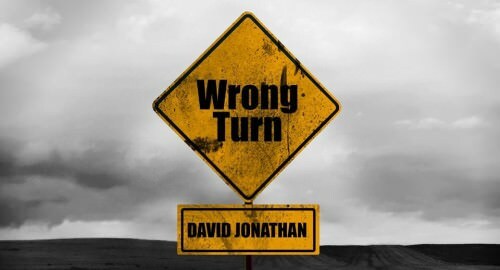 In the case of Wrong Turn, David Jonathan has taken one of these quirks and incorporated it into the plot in a very clever and compelling way, and the unexpected twist actually serves a good purpose in obscuring the method and strengthening the magic. I personally don't find the method for selecting the initial card quite as reliable as I like, but that's just a reflection of my own inexperience, and there will be plenty of magicians who will have no problems whatsoever with it. You might also want to check out the video review by Ekaterina, which includes a performance of the effect here. ​There's good reason that Wrong Turn has received praise from working magicians. 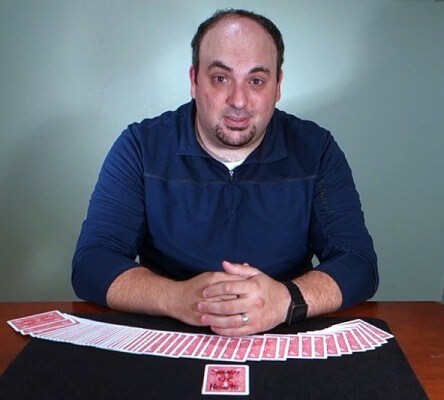 Experienced magicians with a good grasp of the fundamentals of card magic are likely to adapt to this trick very quickly, and will appreciate its simplicity and cleverness, making it a great choice to add to their repertoire. While not for everyone, Wrong Turn deserves the admiration it has received. Given the low cost, it's well worth a look, especially for those who are looking for a solid ACAAN routine that isn't too difficult to perform. Want to learn more? Wrong Turn is available as a digital download for $7.95.